I never would say I'm a girl that wears fur...but lately I've been making so many things with faux fur so maybe things are changing? Or maybe I'm just getting myself overly ready for the bitter winter ahead? 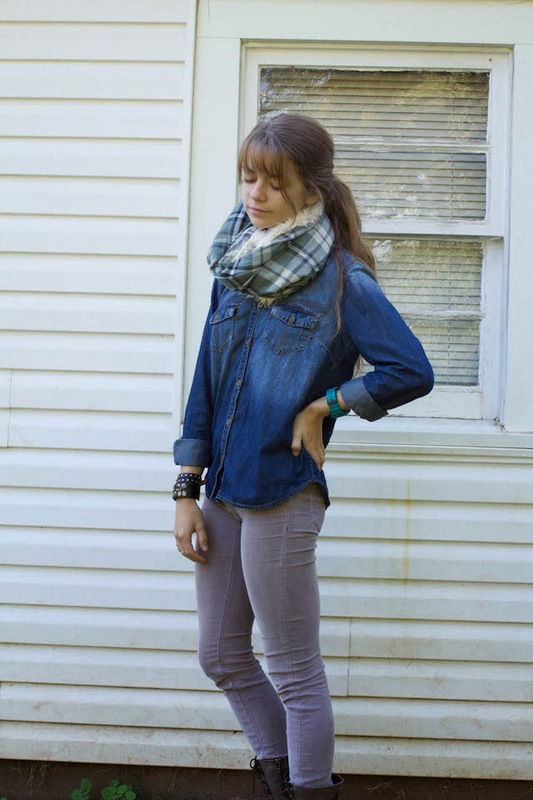 Either way...here is a quick & simple scarf idea that is sure to keep you toasty for the cold. 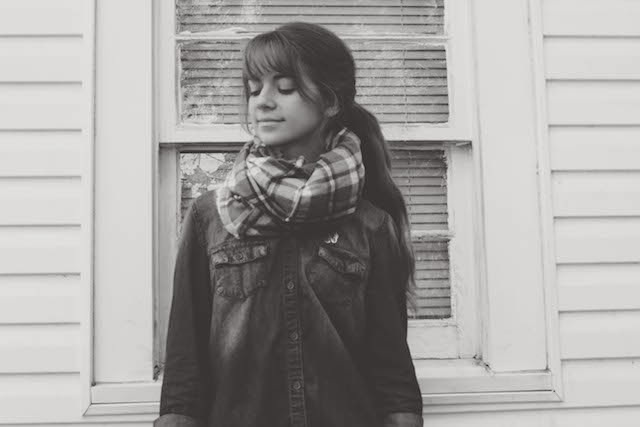 Steps: Measure around your head and neck the size you want your scarf to be. Use a scarf you already have to be a guide if you need. I usually intended to make this double around, but it was way to chunky for my liking. Play around with the size before cutting by pinning the fabrics in place. Cut both fabrics to the length of your measurements. Lay flat fabrics on top of one another with right side facing in. Pin in place and sew around scarf leaving one side open. Fold scarf inside out and stitch two small ends together by hand or sewing machine. You can wear this with the fur hidden, or with the plaid showing...two scarves in one! Cute scarf! Thanks for sharing.